Fresh off their collaboration with Reebok, The Hundreds won’t stop connecting with brands as the next one up is with adidas. The model used is the classic Stan Smith. 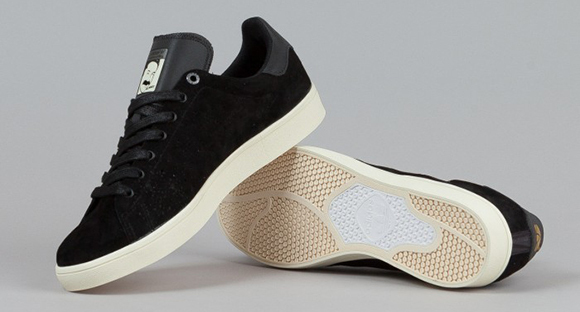 At just a glance, it appears The Hundreds x adidas Stan Smith is nothing unique but if you think that, you’re wrong. 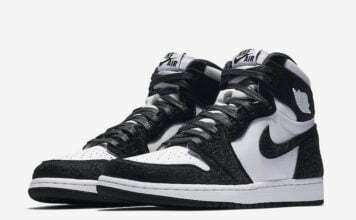 Featuring a black pig skin suede upper, an off-white vulcanized sole and black waxed cotton laces give the sneakers a little more luxury. 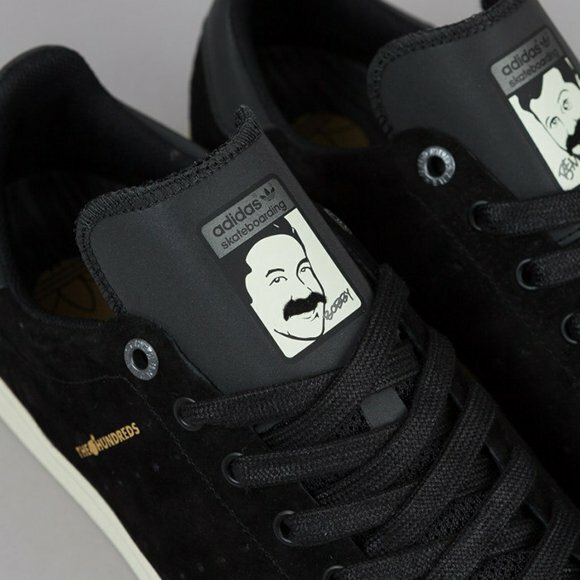 Now on the tongue which traditionally features Stan Smith’s face is actually a man with a 1970s mustache that has become popular again. 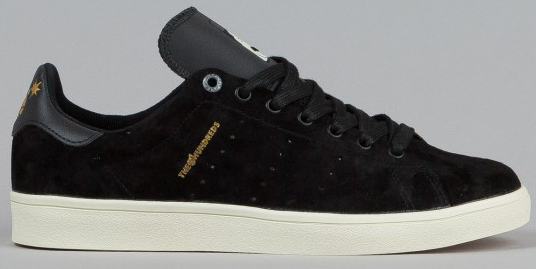 The Hundreds branding can be seen in metallic gold on the side panels and on the insole. 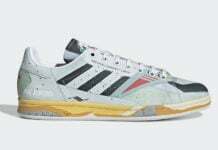 The heel tab will also have the adidas logo that collides with the brands Adam Bomb logo. 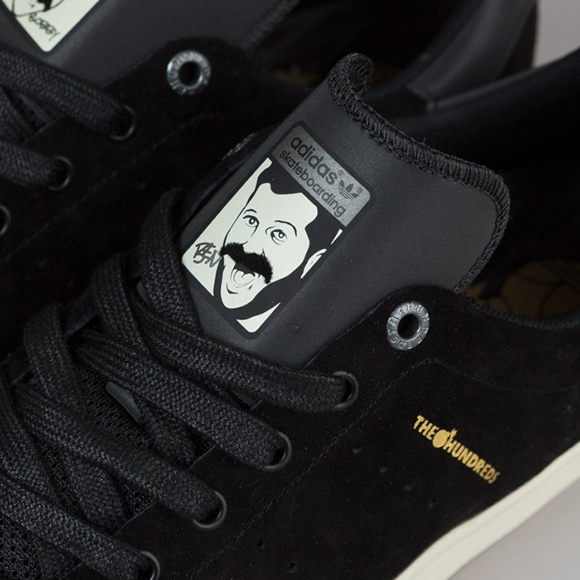 The Hundreds x adidas Stan Smith ‘Mini Mustaches’ releases Monday, December 15h at Flat Spot.